VICTORIA, BC – Lighthouse Brewing has announced the release of its contribution to this year’s wave of fresh hop beers. Groundswell Fresh Hop IPL is a celebration of Vancouver Island hops, and is brewed within 24 hours of harvest. Locally sourced from Cedar Valley Hop Yards, Cascade, Centennial and Mt. Hood hops provide orange, spice and grapefruit flavours on the palate. Light bodied with a crisp, clean finish, Groundswell is brewed to let the fresh hops shine through. 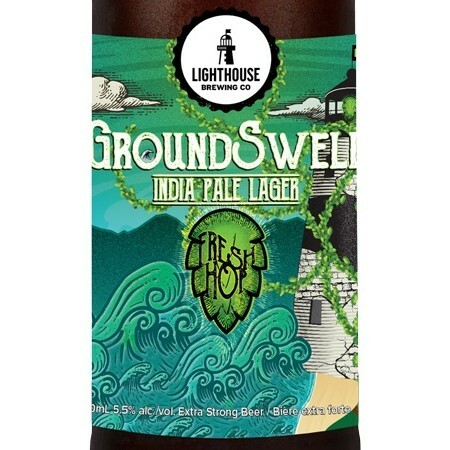 Groundswell will be available in 650 ml bottles at select private and government liquor stores in BC while supplies last.